Rebranding Medovations proved to be an exciting and collaborative exercise for MZ and the Medovations client team. After establishing the project parameters, we concepted mood boards illustrating the brand personality while providing examples of the intended design format, photography inspiration, typography and color study explorations. 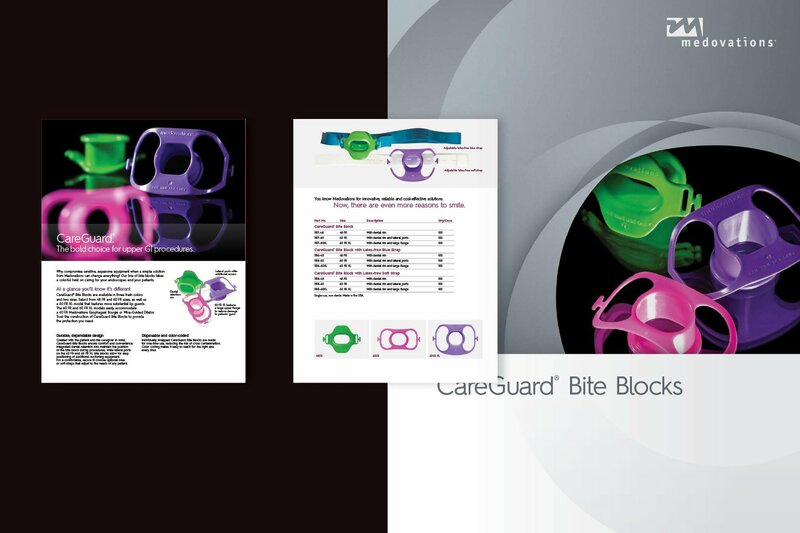 Differentiating Medovations as an innovative medical device manufacturer was key to the rebranding from the get go. After all, innovation is the foundation of the company name and the essence of how they approach the development of their gastrointestinal and surgical products. From the brand’s persona being ingrained in its service-oriented culture to product engineering to its online presence, the Medovations point of difference is quite literally bright, bold, flexible and dynamic. 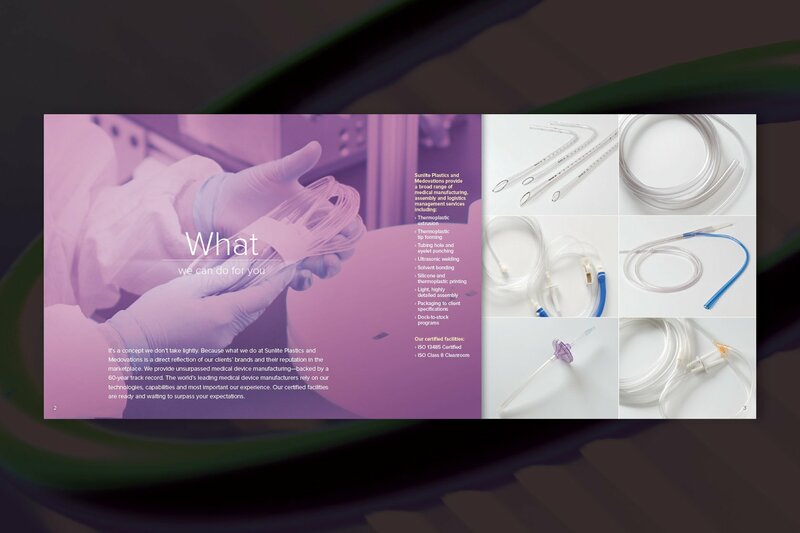 Product collateral templates are designed to swiftly tell the story of how Medovations creates a better solution—whether patient comfort, reliability or cost-effectiveness—to help endoscopy doctors, nurses and technicians provide optimal patient care. 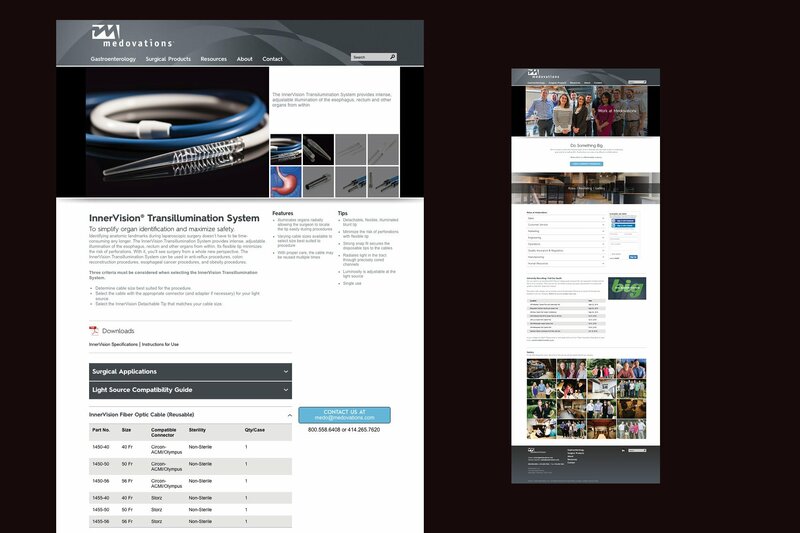 Product visuals along with features, benefits, technical specs and order information are presented in a user-friendly format consistent across mediums. Technical videos showcase the different factors for healthcare professionals to note when using a product. By priming the audience to look for things like the balance of stiffness versus flexibility in a bougie or the ease of a disinfecting process, Medovations is positioned as the helpful leader and established educator. From recruitment marketing of future employees to targeted direct mail of GI caregivers, MZ has made Medovations’ commitment to provide exceptional, personalized service a hallmark of marketing its ever-growing product line.